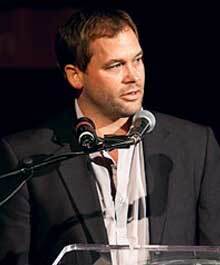 Rich Henrich is an Emmy Award-winning filmmaker with a focus on screenwriting and producing. His professional experience ranges from tech start-ups to political consulting with a strong focus on operations, sales and marketing. In addition, Mr. Henrich is a film professor (Santa Fe University of Art and Design) and producer of events and film festivals as well as the director of Film 4 Change, a story powered community of artists based in Santa Fe, New Mexico. His work has screened at SXSW, Santa Fe Film Festival, Santa Fe Independent Film Festival, AMFM Fest and beyond. Henrich is also creative director for AMFM Fest and Programming Director for Albuquerque Film Fest and CineVision Santa Fe. He has produced narrative films featuring Michael Madsen, Giancarlo Esposito and other great actors. He is attached to produce a film with Viggo Mortensen set to lead and is currently working on a documentary on the late great Dennis Hopper with long time creative collaborator, Charles Van Winkle. His other documentary projects focus on eccentric cowboy artists and other fascinating characters of the Southwest frontier. Mr. Henrich is also a published fiction writer. He is on the board of New Mexico Lawyers for the Arts and a member of Coachella Valley Economic Partnership’s committee on Arts, Media and Entertainment in CA. He holds degrees in Philosophy and Communication.